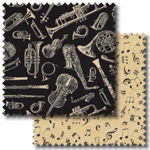 Pelenna Patchworks: New musical fabrics available with Blank Quilting's Symphony Suite fabric range! New musical fabrics available with Blank Quilting's Symphony Suite fabric range! 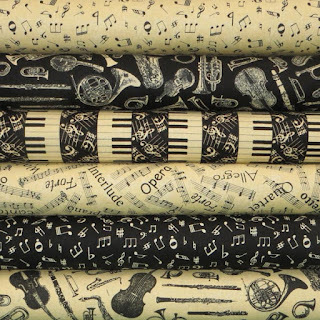 Music lovers will love our latest range, Symphony Suite by Blank Quilting. Perfect for music themed rooms or items, the range features musical notes and instruments in classic black and antique style ivory colours. Do you still have these fabrics I am looking for the one on the top of all the bolts.